The a cappella extravaganza you don't want to miss! Update: For pair discount, kindly use promotional code: "TAKETWO" to grab a pair of tickets for $58. Only applicable to adult tickets. What’s up at AKA VIII? AKA A Cappella is back! Held from 24th – 25th September 2016, Singapore’s longest-running a cappella festival returns for our 20th anniversary, at Singapore Conference Hall where the first edition was held. 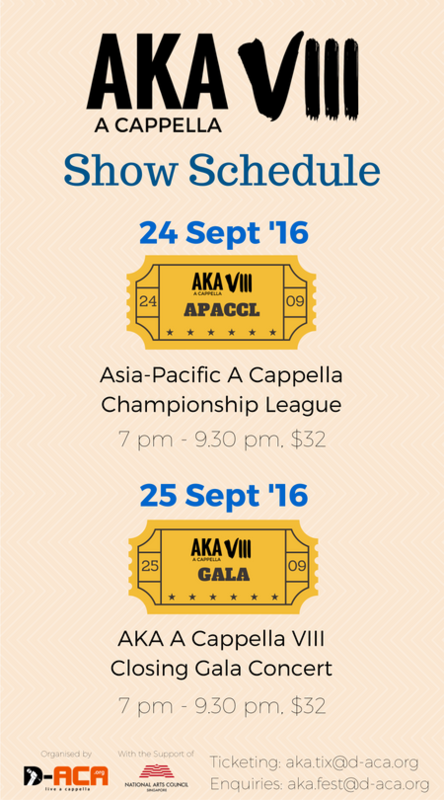 So what can you expect at AKA A Cappella VIII this September? (1) On 24th September, witness a live action knock out competition unfold before your very eyes, as regional a cappella champions from all over Asia-Pacific duke it out for the championship title! What's more, our star-studded judging panel comprises movers and shakers in the local music scene, as well as our special guest, the vocal producer of Pitch Perfect, Deke Sharon! 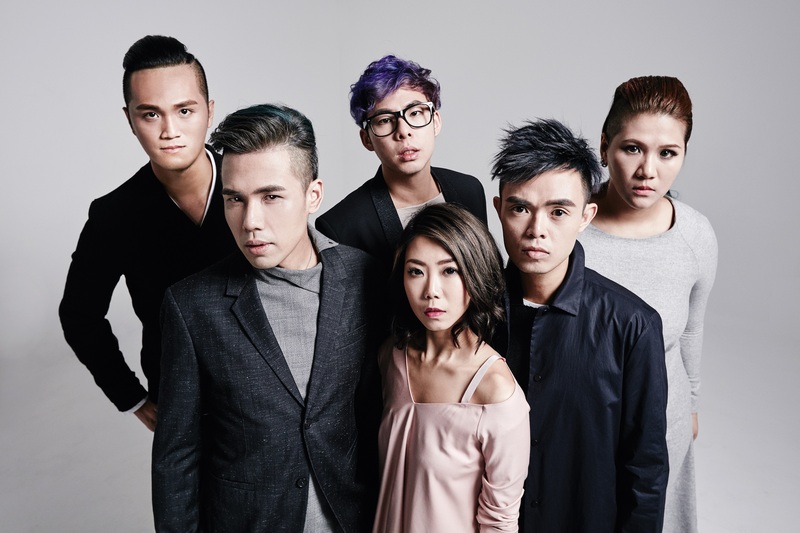 (2) On 25th September, sit back and be dazzled by the 2 feature groups, MICappella (SG) and Acapellago (PH), as well as the award winners from the previous' night's competition! As a testament to Singapore's budding talent, NUS Resonance and RP Rhapsody will also be putting up showcases at the concert. (3) Also on 25th September, come and learn about a cappella straight from the experts themselves! Various workshops will be conducted by international a cappella bigwig, Deke Sharon, and vocal coach and stagecraft expert, Zerafina Zara, and will be catered to a cappella singers and the general public alike. Sounds exciting, right? Read on below, or click on the pages above to find out more. 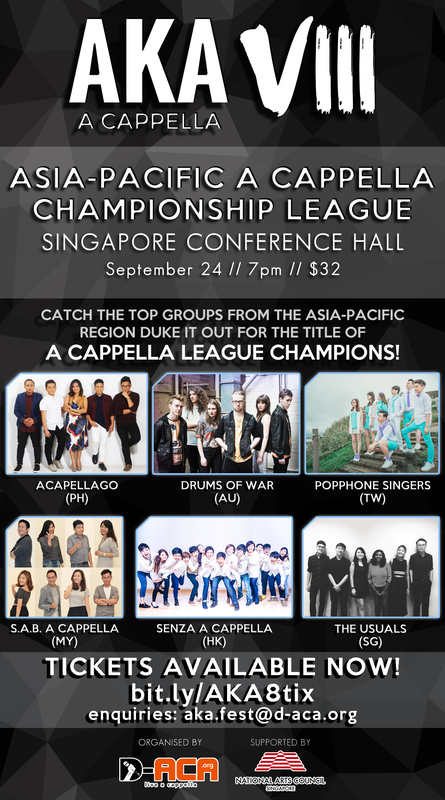 The Asia-Pacific A Cappella Championship League (APACCL) is a regional invitational competition, with various champions of a cappella competitions in the Asia-Pacific region being invited to participate. The competition will be held knock-out style, with competing groups vying head-to-head and being eliminated at each round. 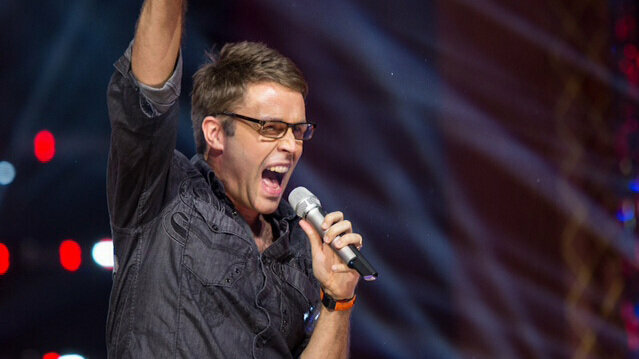 Deke Sharon guest performing on The Sing-Off China in 2012. The judging panel will include various notable local representatives from the arts, music, and entertainment scene, as well as our international guest, Deke Sharon, who is hailed as the "godfather of contemporary a cappella". Deke was the vocal producer and on-set music director of the highly successful Pitch Perfect movie series and The Sing Off televised competition series. Come and watch the intense competition unfold, as the groups duke it out to vie for the championship title! Keen to know more? Check out our stellar judging panel, or take a sneak peek at the competing groups in the regional competition page. After an intense competition, the festival will end with a more intimate concert. This year's closing gala concert is guaranteed to give attendees' ears a treat. 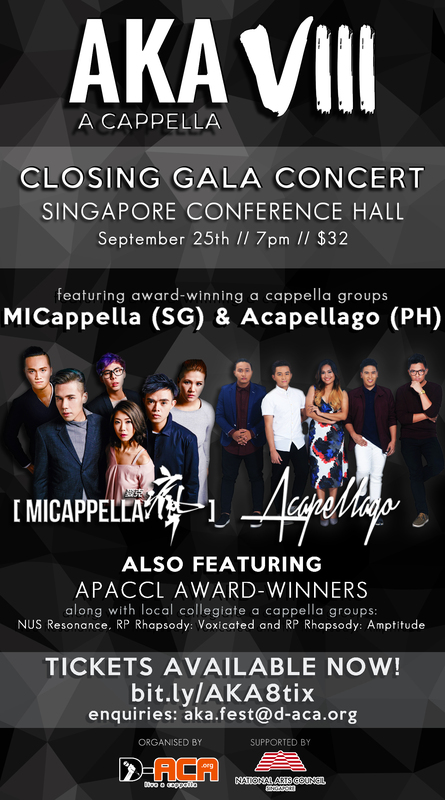 The closing gala will feature performances by award-winning a cappella groups, MICappella (Singapore) and Acapellago (Philippines). Joining the featured group on stage will be groups awarded prizes in the regional competition, who will reprise their award-winning performances and more! Last but not least, student a cappella groups, RP Rhapsody and NUS Resonance will also be putting up short showcases, as a testament to Singapore's budding talent. Keen to know more? Check out the details in the closing concert page. Singers and a cappella groups looking to develop their skills can look forward to workshops by our international guests, Deke Sharon and Zerafina Zara. Whether you're an a cappella aficionado or completely uninitiated, we have something just for you! Visit http://www.d-aca.org/akafest for more details.